I gathered up my coworkers and headed to the conference room. 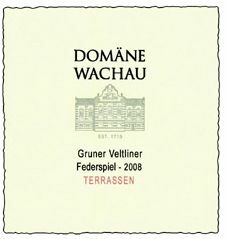 First the Domaine Wachau Federspiel ‘Terrasen’ Grün er Veltliner 2008 which showed distinct Grüner characteristics of tart green apple, citrus and white pepper. The Franz Hirtzberger Federspiel ‘Rotes Tor’ Grüner Veltliner 2007 was similar, but also has an accentuated flavor of under ripe pineapples and was much crisper on the nose. Onto the Rieslings, the Domaine Wachau Federspiel ‘Terrasen’ Riesling 2007 showed a nose of unripe stone fruits with lemon undertones, followed by citrus and tart peaches on the palate. 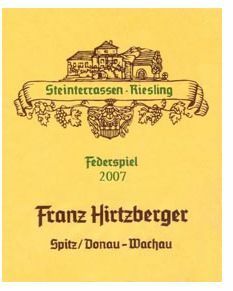 Contrastingly, the Franz Hirtzberger Federspiel ‘Spitzer Steinterassen’ Riesling 2008 was much fuller in body and was filled with ripe flavors of peach and nectarine. Though completely different, I found both flavor profiles to be quite enjoyable. Then we got to the afternoon’s real prize (it was so good that after a couple sips, we decided to close the office early.) The Kracher Burgenland Cuvee BA 2007 was full of honeyed, ripe stone fruits, but with a balanced acidity that led to a delightful, lingering finish. Austrian sweet and dessert wines are some of the best I’ve come across. Quite often, sweet wines can be overpowering in their sugar content and sickeningly sweet after only a very small portion. However, I have found that these Austrian gems are sweet up front but then lead into an intensely pleasurable experience. Before October 1st, I had very little experience with Austrian wines other than the signature Grüner Veltliner, and even then, hadn’t had the opportunity to experience its full range of potential. However, in the past month and a half I’ve tasted so many delightful wines that I’m sorry I didn’t discover this country sooner. In short, this has been a fantastic month and half and I can’t wait to see what else comes along.